In a new report, Bloomberg cites "a person familiar with the plans" who claims that Apple is developing two new iPhone designs in preparation for a late 2014 release. These new iPhones will feature "larger" displays with "glass that curves downward at the edges," the source says. The source also suggests that Apple is working to make pressure-sensitive displays that can determine how much pressure is behind a users' touch, but says that this feature may not arrive in models next year. Adding further detail to the claims, the source says that the two new iPhones will have 4.7in and 5.5in displays, and that they are not likely to be released until the third quarter of 2014. Samsung has already launched several iPhones with screen sizes bigger than the iPhone's 4 inches, including its popular Galaxy range. It has also recently unveiled the Galaxy Round, which is a smartphone with a 5.7in display and a curved body. However, the source says that Apple's curved iPhone would curve downwards at the edges, unlike the Galaxy Round, which curves upwards to create a concave shape. This report is not the first time we've hear speculation about a bigger iPhone, though. 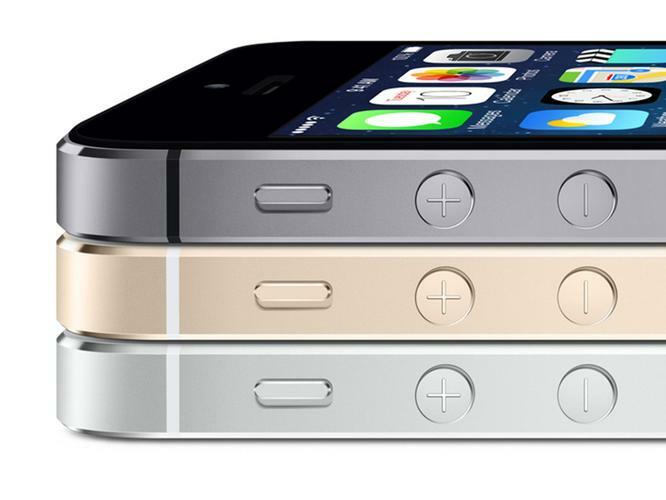 In October, a report suggested that an iPhone with a bigger display could arrive in September 2014. Several analyst seem to think that Apple is working to make the iPhone bigger, too. In September, KGI Securities analyst Ming-Chi Kuo said that Apple is likely to launch an iPhone with a 4.5in or 5in screen next year, noting that Apple's is unlikely to go bigger than 5in because of its "unwavering principle of one-handed use." Also in September, Cantor Fitzgerald analyst Brian White said that Apple would launch a "Mega iPhone" in 2014 to expand its reach in China and the rest of Asia, and reiterated his prediction in October following a meeting that left him "confident" that a 5in iPhone is coming. DisplaySearch analyst David Hsieh had also suggested that the bigger iPhone will arrive in the second quarter of 2014 with a screen size between 4.7in and 5.7in. Plus, Morgan Stanley analyst Katy Huberty has suggested that we might see the unveiling of four new iPhones next year, so the two curved models could follow the iPhone 6 and iPhone 6c in early 2014.